Competition is open to all Amateur and Professional practitioners who wish to compete. (Film & Digital Cameras). Photo shall be taken only during the above-stated contest period during the 2009 NATCON (photos maybe taken at anytime, day or night). A contestant may submit a maximum of two (2) entries. In case both entries of the same participant win any of the prizes, the prize of higher value shall be awarded. The remaining prize shall be given in favor of the succeeding winner, in descending order. Entries shall be submitted on or before the deadline date, Photo size is 8 x 10 in any orientation and color. 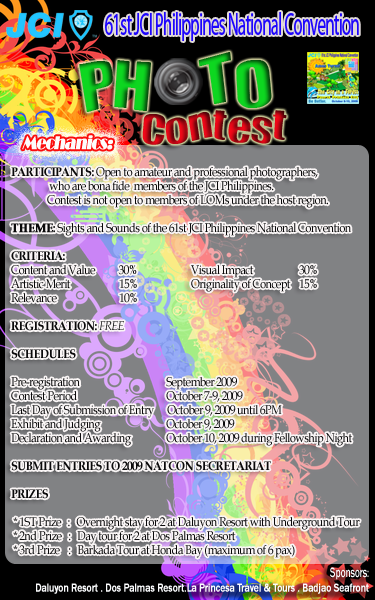 Concept should be original, entertaining and wholesome, depicting the various sights and sounds of the 2009 NATCON. Every entry should be accompanied with a duly filled up Photo Entry Form. No Name or any mark identifying the photographer shall be included in the photo itself. Upon submission, all entries shall bear only your Name, ID Registration No., and LOM at the back of each entry. Names of the photographers shall be included only after the judging and during the photo exhibit. Photos should not be altered digitally. Entries should be in their original format, as taken. All enhancements shall be done on camera. 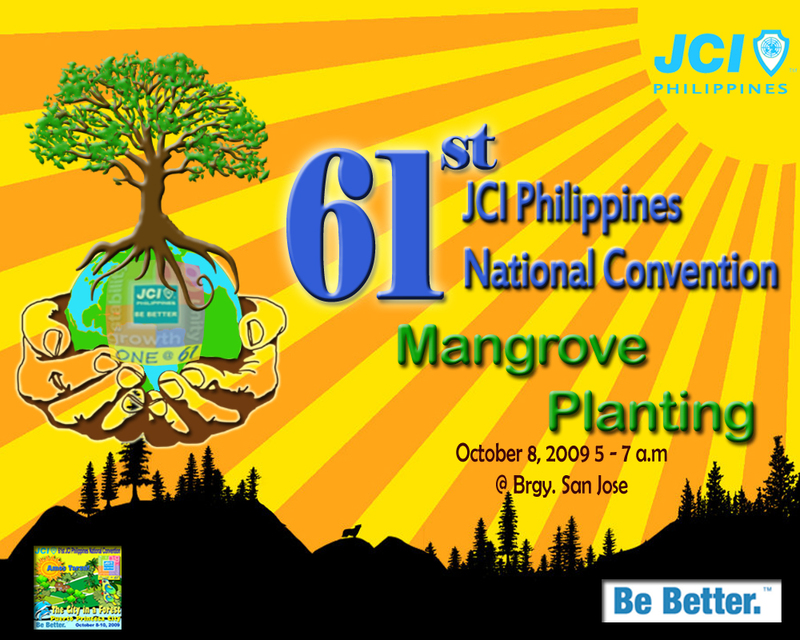 All submitted entries shall become sole and exclusive property of the JCI Phil. 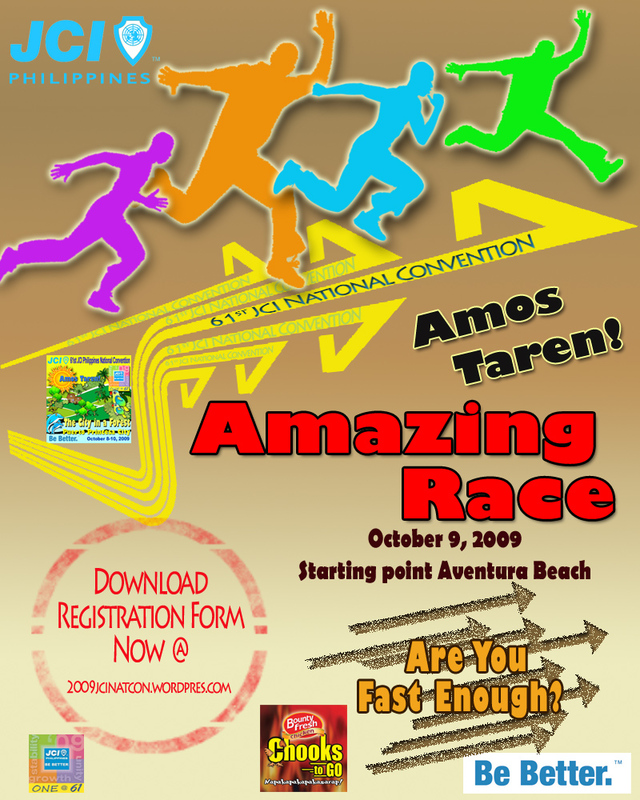 Registration Forms will be available at the NATCON 2009 secretariat and at www.2009jcinatcon.wordpress.com the official website of NATCON 2009 and can be submitted to 2009jcinatcon@gmail.com. 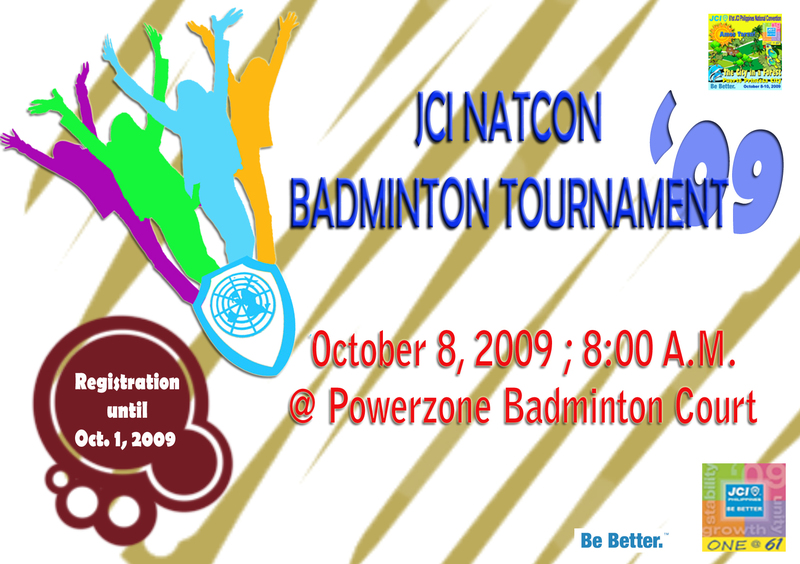 Registration will be open starting September 2009. – The 1st three(3) groups arrive in the final station will be declared winners. 5.1. If there are four to six teams, the teams shall be bracketed into a single group. 5.1.1 The teams shall play a single round robin eliminations. 5.2. If there are seven to eight teams, the teams shall be divided into two groups with each group not exceeding four teams. 5.2.1 The composition of each group/bracket shall be determined by drawing of lots to be set by the management. 5.2.2 The procedure of the drawing of lots shall be determined by the management. 5.2.3 The teams in each group shall play a single round robin eliminations. 5.2.4 The top two teams of each group will automatically qualify for the cross-over semifinals. The winners of the semifinals will play for the championship. 5.3. If there are nine to ten teams, the teams shall be divided into two groups with each group not exceeding five teams. 5.3.1 The composition of each group/bracket shall be determined by drawing of lots to be set by the management. 5.3.2 The procedure of the drawing of lots shall be determined by the management. 5.3.3 The teams in each group shall play a single round robin eliminations. 5.3.4 The top two teams of each group will automatically qualify for the cross-over semifinals. The winners of the semifinals will play for the championship. 5.4. If there are 11-12 teams, the teams shall be divided into three groups with each group not exceeding four teams. 5.4.1 The composition of each group/bracket shall be determined by drawing of lots to be set by the management. 5.4.2 The procedure of the drawing of lots shall be determined by the management. 5.4.3 The top team of each group and the best 2nd place team of the three groups shall play for the semifinals. The winners of the semifinals will play for the championship. 5.5. If there are 13-15 teams, the teams shall be divided into four groups with each group not exceeding four teams. 5.5.1 The composition of each group/bracket shall be determined by drawing of lots to be set by the management. 5.5.2 The procedure of the drawing of lots shall be determined by the management. 5.5.3 The top team of each group shall play in the semifinals. The top number one the fourth number one shall play the first semifinals while the remaining two teams shall play the second semifinals. 5.5.4 The winners of the semifinals shall play for the championship. 5.6. If there are 16-18 teams, the teams shall be divided into four groups with each group not exceeding five teams. 5.6.1 The composition of each group/bracket shall be determined by drawing of lots to be set by the management. 5.6.2 The procedure of the drawing of lots shall be determined by the management. 5.6.3 The top team of each group shall play in the semifinals. The top number one the fourth number one shall play the first semifinals while the remaining two teams shall play the second semifinals. 5.6.4 The winners of the semifinals shall play for the championship. 8.1.2 If both system cannot break the tie, will have another match consisting of one (1) game only, side which first scores 21 points shall win a game, except it will not be a straight to 21 points. All matters not provided for shall be dealt with the management in accordance with the Laws of the Game as promulgated by International Badminton Federation (IBF).